Description: It is a small and fast indexing search program. 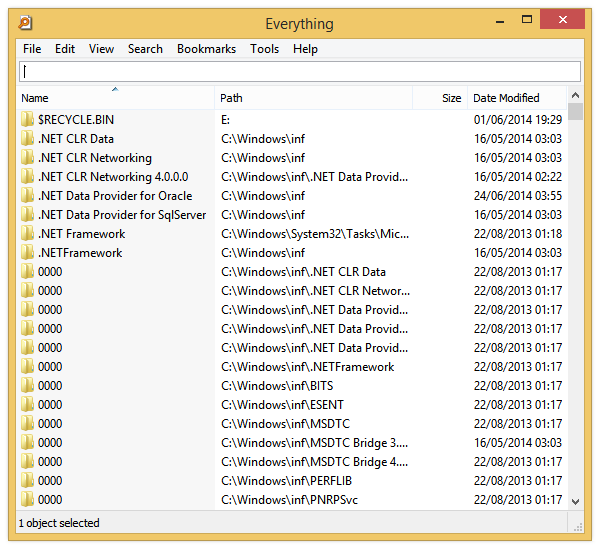 Unlike Windows search, Everything initially displays every file and folder on your computer. You type in a search filter to limit what files and folders are displayed. Everything only uses file and folder names and generally takes a few seconds to build it's database. A fresh install of Windows XP SP2 (about 20,000 files) will take about 1 second to index. 1,000,000 files will take about 1 minute.